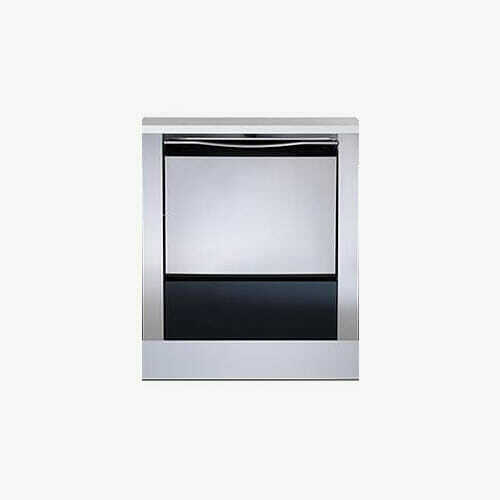 Takara Belmont Salon Console Basin Unit. 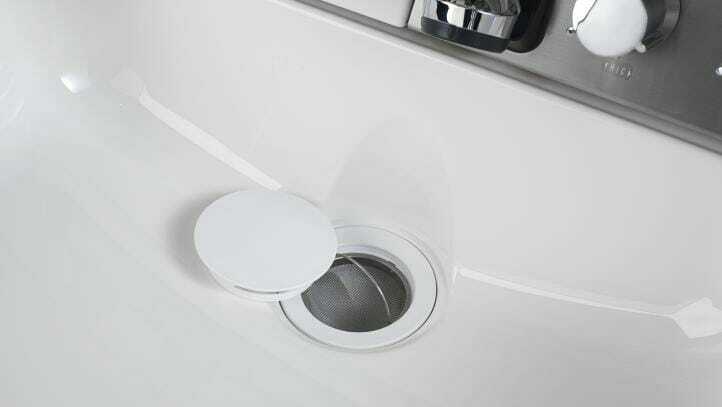 Unique fold-away basin system only which is clean, neat, compact and ready for shampooing as and when required. 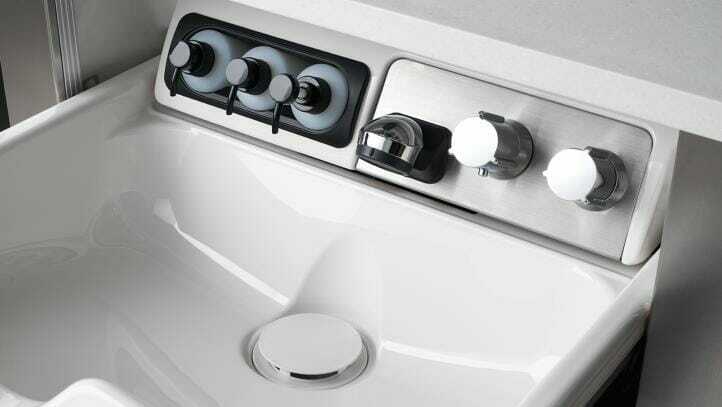 The Takara Belmont Salon Console Basin Unit has been created to allow for the optimum use of space. 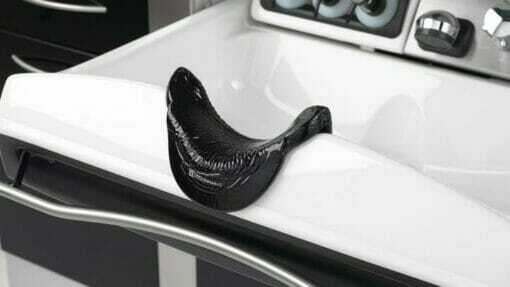 It converts from a functional cutting area to a fully fledged washpoint with ease. The lightweight basin folds away without a trace, and any remaining water drips are tidily collected in a concealed tray. The basin features a free-swiveling shower head with retracting cord, hair trap system, thermostatic control, chrome finished taps and 3 bottle recessed storage. 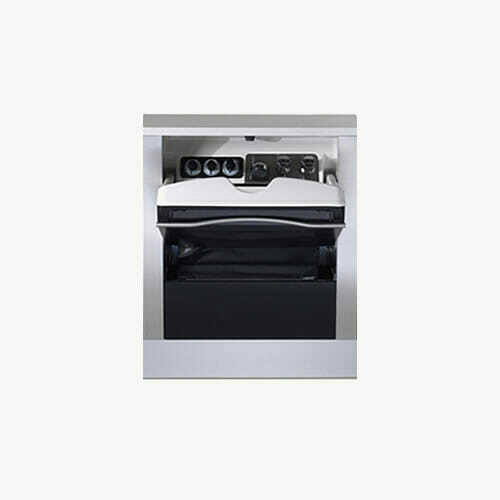 Dimensions: Height 77cm, Width 80cm, Depth of Unit with Basin Open 75.5cm, Depth of Unit with Basin Closed 31.5cm.